The Sweet Spice Cat pet will be “peeking” around Webkinz Newz this October, and he’s got a bunch of prizes you might win! 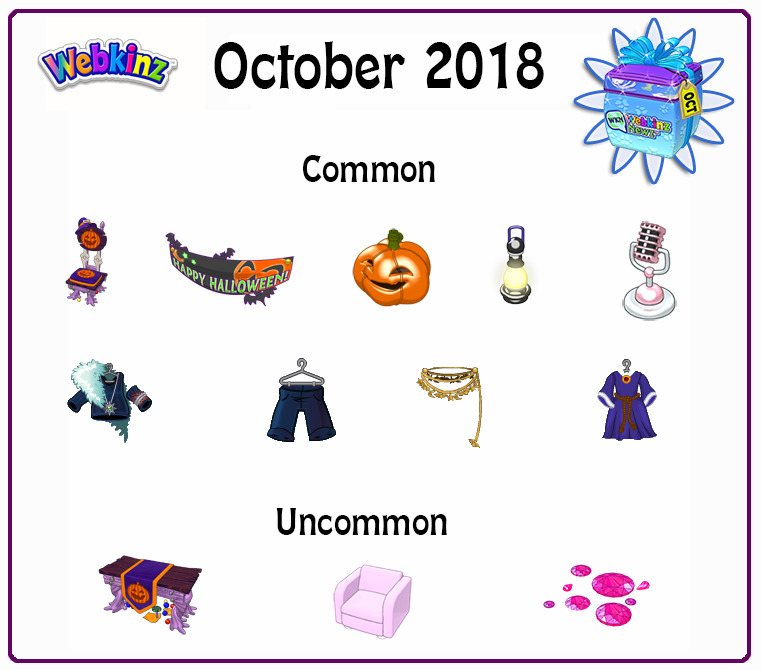 From October 1 until October 31, head over to the “Events” page and start the Peek-A-Newz activity. Find the Sweet Spice Cat 5 times around Webkinz Newz and you will win a 2018 WKN October Gift Box. Open it to receive a random prize from the October Prize Pool. Anyone having luck getting the Mod Raspberry Lounger? Can you PLEASE make the floor tiles just a little bit easier to get??? I have done 4 accounts every single day and have only won ONE tile so far. That’s 72 chances and only one tile. Not good odds. Earlier in the year I was getting at least 4 tiles per month doing 4 accounts daily — what happened? Why are these so hard to get? Can you please adjust the programming just a LITTLE? It’s getting very frustrating. Thank you! I just received the Rose Zircon Mosaic Tile from the free mystery prize on Today’s Activities. So excited!!! Guys could you give me your username. I want to friend you on webkinz.